250 schools, 2500 teachers, 25 000 students with a total of 250 000 people in communities will be engaged in The Non-Violence Project Foundation (NVPF)’s educational project in Uganda, thanks to the financial support from the City and the Canton of Geneva in Switzerland. The 3-year project is an outreach to stem the escalation of youth violence in the country, which has increased partly due to lack of knowledge on how to solve conflicts peacefully and to the high rate of youth unemployment. The project’s first phase is to train 20 NVPF Master Trainers who then will train teachers in rural and urban schools in the Busoga Sub region of eastern Uganda. The teachers and students will be trained in the three levels of NVPF’s Schools for Peace program over the three years’ period, to ensure a continuous decrease of violence. “Thanks to our generous supporters for practically getting on board to address this often ignored problem of youth violence, we are sure that this project will tremendously build the capacity of schools and teachers to manage conflicts and most importantly inspire our young people to become peace builders rather than engaging in violence and risky behaviors.” says Eddy Balina, Country Director of NVP Uganda, established in 2011. 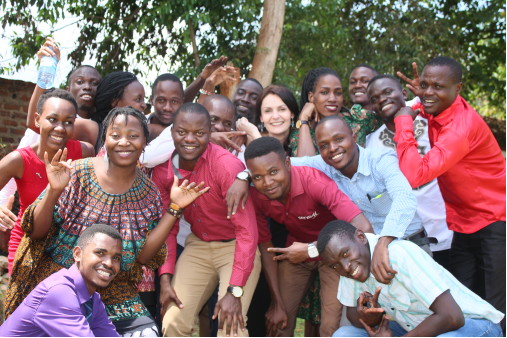 The Uganda Project was launched with a ceremony on the 8th of March in NVP Uganda’s Head office in the district of Jinja, with guest speakers from local authorities, partners and other international and national organizations. The Non-Violence Project Foundation (NVPF) is a Swiss non-profit organization founded in 1993 and based in Geneva. Its mission is to help build a better world by delivering education to young people all around the world, to enable them to learn how to act and take responsibility in all situations of conflicts and violence.